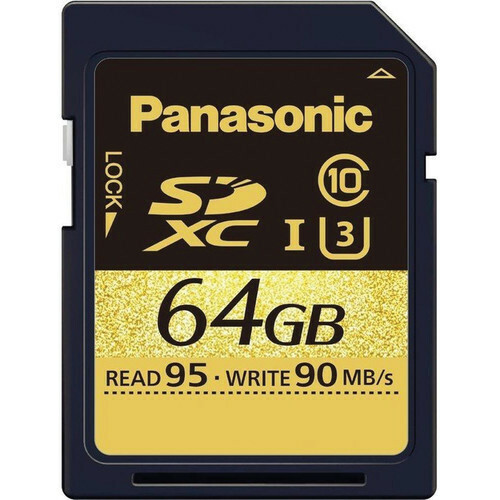 This 64GB U3 SDXC Memory Card from Panasonic features UHS Speed Class 3 compatibility making it the go to card for recording Full HD, 3D, and even 4K video content. Additionally, this card can capture burst shot, JPG, and RAW photos with ease. Data read speeds of up to 95 MB/s and write speeds of up to 90 MB/s allow you to transfer data to and from the card quickly. You can even take the card with you on the go as it comes water, shock, magnet, X-ray, and temperature proof.